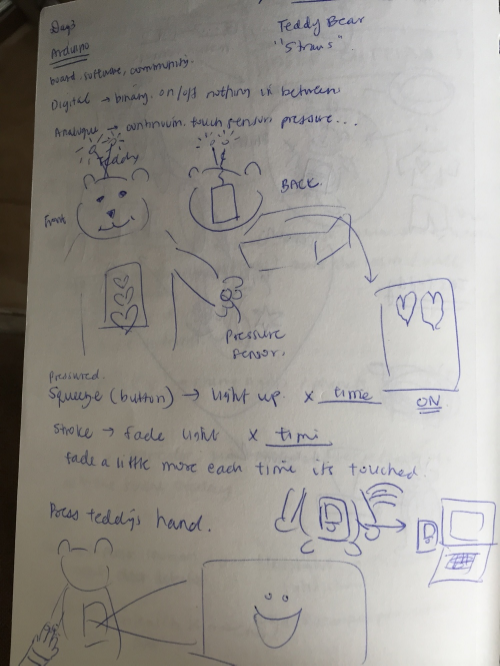 For the Copenhagen Institute of Interaction Design's Connected Devices workshop, each team was given a concept to design around. My partner and I were assigned the concept of light. With a concept as broad as light, we had to narrow down our final problem from a wide array of options. After brainstorming ideas and card sorting them with the input of other teams, we decided on solving for the problem of a child's fear of the dark as they prepare to go to bed. in the house. The form factor developed from watching small children interact with toys. 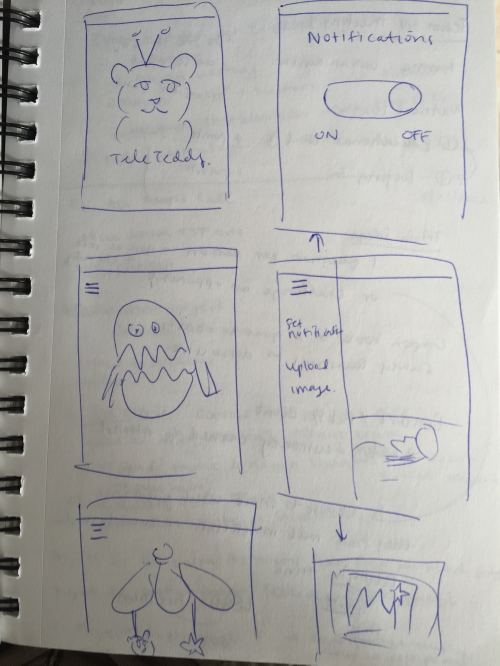 As an early prototype demo, we used a foam square to demonstrate what would eventually be a teddy bear. 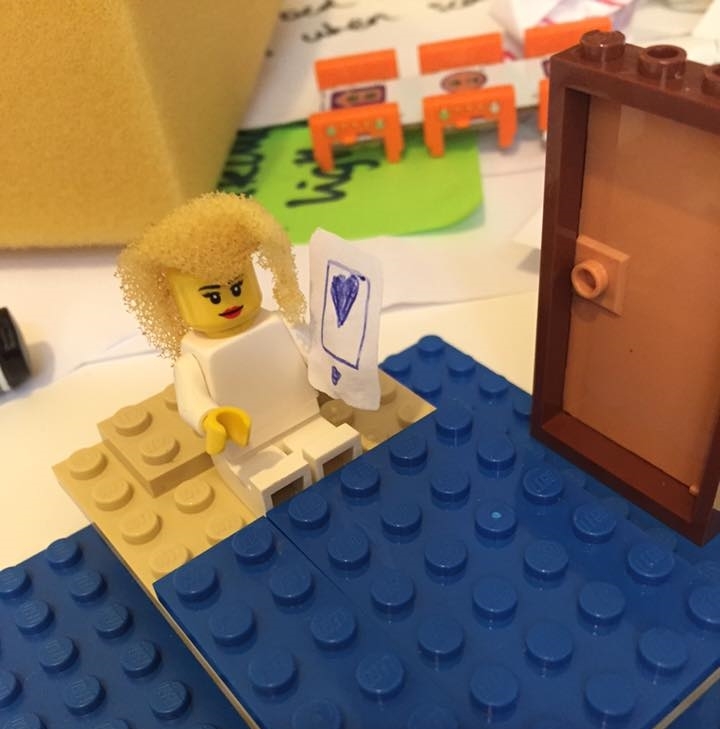 We also built a LEGO scenario to show how the products would be used by the parents and children. We had many ideas for how the teddy bear would be a source of comfort to the child. We played with the idea of a light show, but ultimately decided on something more discreet to lull a child back to sleep. We acquired a very lovable fluffy teddy bear from a local toy store and performed a little surgery on him to insert all the Little Bits into his body. The sensors we chose included vibrations and soft blinking LED lights. We felt these feedbacks were less intrusive and more conducive to a child having a good night's sleep. It was very fun tinkering with the Little Bits as it was my first time using the product. It was easy to get all sorts of functions going and it was difficult deciding the final features to use. We set up the Little Bits to work in a way that pressing the left paw would light up the LED light antennas and pressing the right paw would cause the entire bear to vibrate gently. To create an interface on the teddy, we 3D printed an iphone case, and using Cura and Rhino, added some panels with holes and sewed it into the lining of the bear. My partner created a cute growing heart animation with After Effects that would serve to comfort them. In the Settings, the parent would be able to edit the animation or graphics based on what they thought the child would like to see. 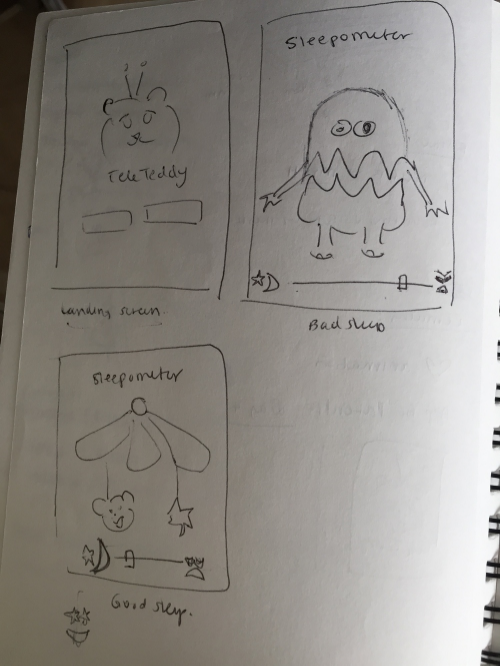 The mobile experience for the parent was planned to be extremely simple given that they would be interacting with it before going to bed, a time where mobile use should be limited to make for better quality of sleep. I wireframed the core screens and made mid fidelity mockups in Proto.io. As the week came to a close, we recruited a couple of classmates to star in our demo reel, which was great fun to film. It was my first time directing a video spot. We were creative with recreating the bedroom scenes by using desks and various props on hand, including a mannequin leg which didn't make the cut. We presented our prototype to the class, which was very well-received. Its sweet lullabies, gentle vibrations, fun antennae LEDs, and reassuring graphics were charming and even calmed me down as I was holding it in preparation for our presentation.